nails are a fantastic record keeper of a thickness and layers previously there. 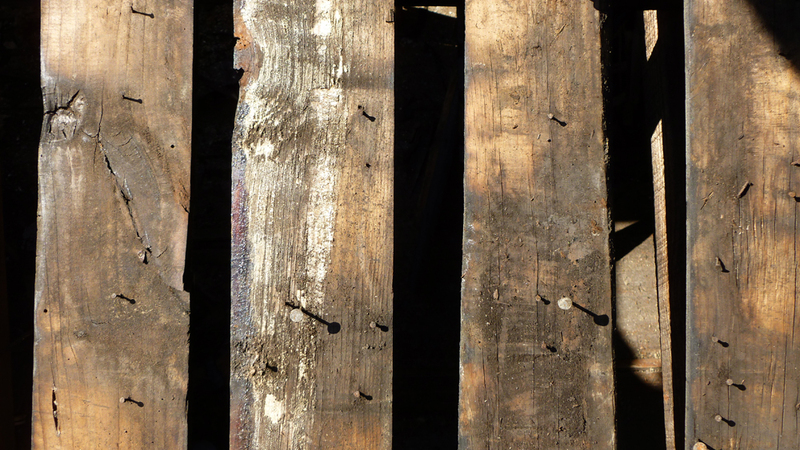 each offers a measuring stick and regional sampler of the stripped building material, having undergone a palatable deformation as the metal sliced through wood, linoleum, asphalt, shingles, or sheathing. particularly on a sun streaked surface, these skeletons strike shadows activating the newly thinned membrane. functionally, these remanent nails engage the floor, roof, and wall differently. 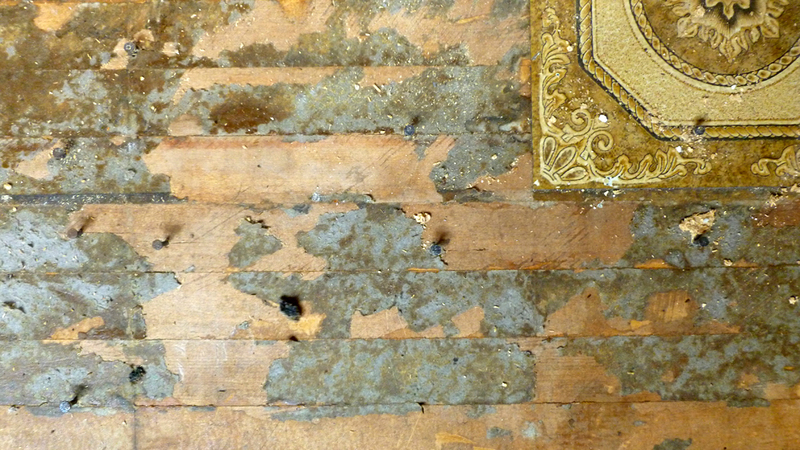 as a surface to walk on, the nails interrupt, restrict, puncture and striate a previously smooth floor. 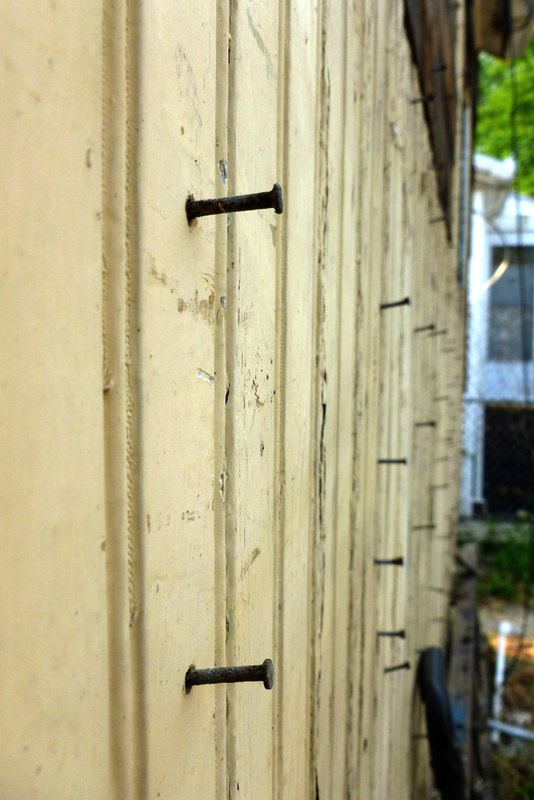 along the wall, the nails dictate an offset distance or directs where something is to rest and lean. 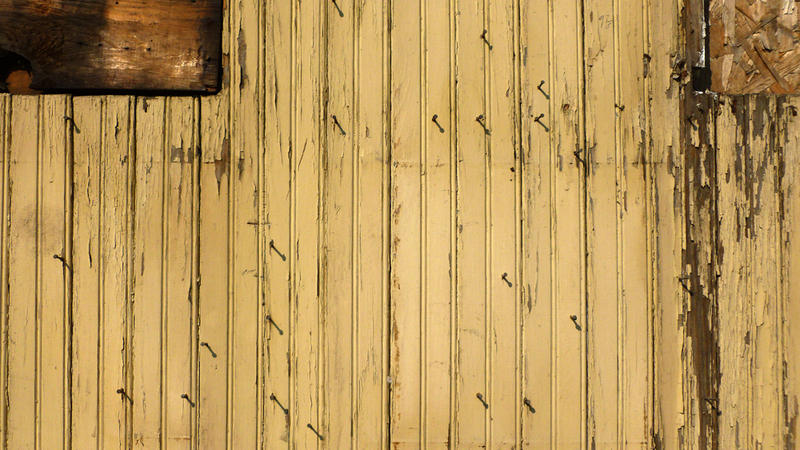 along the wall, nails also offer a hook from which to hang things, as a pegboard does or the shaker peg rail banding each room. nails extruding up from a roof gather, collect and sift, interrupting any shedding generated from the pitch. in any effect, the removal of the material and revealing of the nails in itself has reprogramed this architecture. This entry was posted in detroit, light and tagged measuring stick, pegboard by vmcreynolds. Bookmark the permalink.